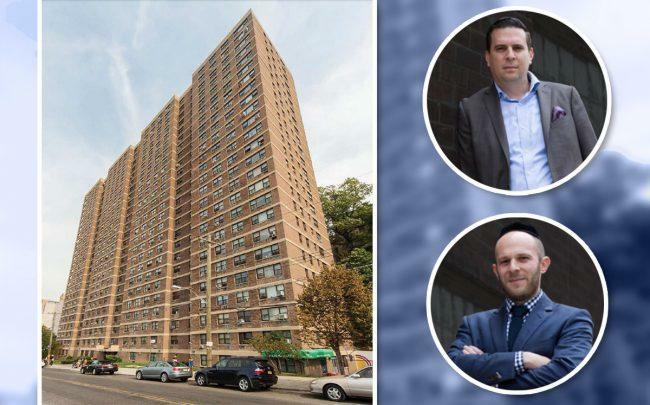 Adam Mermelstein and Azi Mandel’s Treetop Development has scored a $75.9 million loan for one of its Bronx affordable housing complexes. Wells Fargo provided the Freddie Mac mortgage for the Teaneck, New Jersey-based firm’s property at 1600 Sedgwick Avenue, known as the Riverview Apartments, according to documents filed Thursday with the city. Wells Fargo declined to comment and Treetop did not respond to requests for comment. Treetop is the property’s beneficial owner, and the non-profit NYC Housing Partnership is its sponsor. It was not immediately clear whether Treetop has additional partners. The building, located in the Morris Heights section of the Bronx near the Major Deegan Expressway, has 383 affordable units and stands 25 stories tall. Elsewhere around the city, Treetop and the Weinroth family last year sold six multifamily buildings in Queens to A&E Real Estate Holdings for $127.5 million.